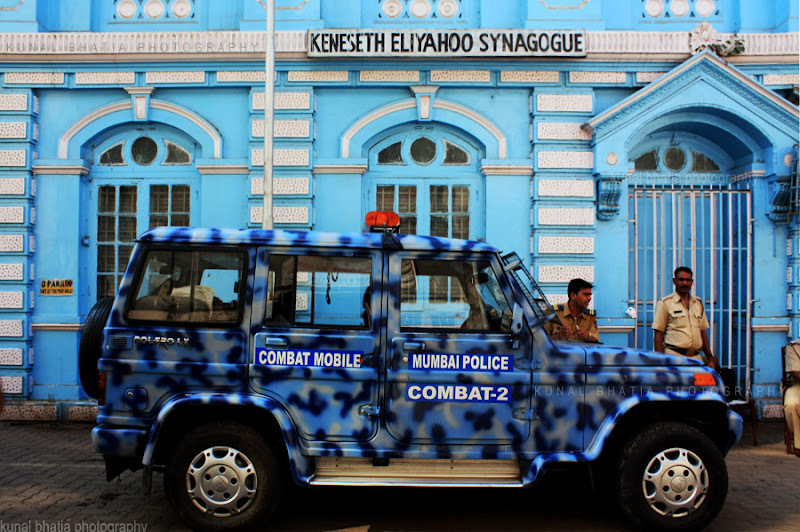 a camouflaged-blue mumbai police van outside the very blue keneseth eliyahoo synagogue in south mumbai. security concerns require increased patrolling at some sensitive spots. view this photo on flickr here. the august 2010 theme day at city daily photo is bright colours. to view photos from participating cities across the world, go here. Hi Kunal! Wonderful blog you have here! Love the blues on this post!! Enjoy and have a a gorgeous week ahead! Beautiful shots...came here via Madhu's Adaab Hyderabad! Glad I did, plan to stop by more often and add this to my blogroll! Weird. But a nice find.